Greetings from China..wish you were here! 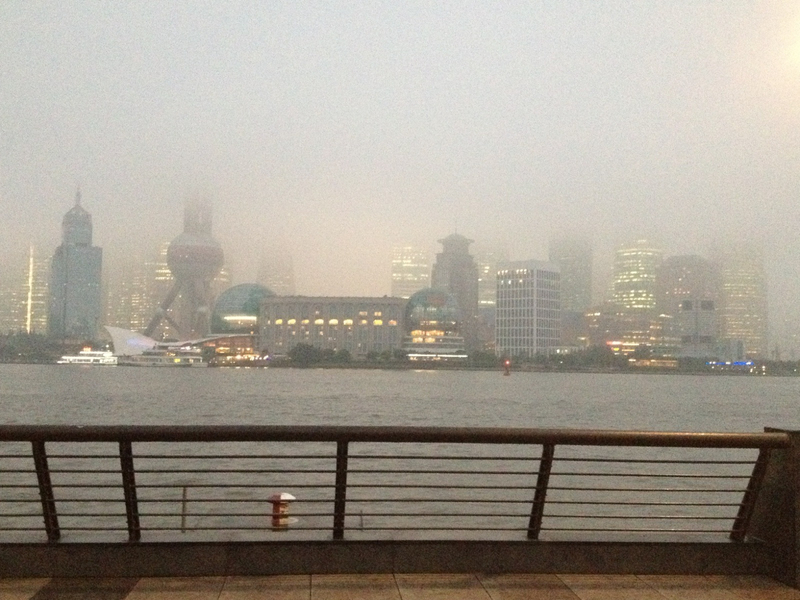 Photo taken in Shanghai facing Pudong in November 2011. I just finished my post on thirdeyemom on Pudong. I was looking through my photos and was dismayed to see that every single one of them was covered in fog. I was about to delete them all when I showed my husband and he gave me a new outlook on them. He said that he “thought they were cool because the fog was a metaphor representing the uncertain future hanging over China”. I thought about it and realized that he couldn’t have said it more clearly. Yes, it is true and how strange. Sometimes nature has a way of telling us truths about the world that are really right in front of our nose. All we have to do is look.